First Choice, the holiday brand from tour operator TUI UK & Ireland, rolls out its £3m brand relaunch campaign next week, to solidify its brand message as "the home of all inclusive". The campaign, created by BMB, launches on 19 December and features TV, digital and press activity. The ad marks the first time the brand has been on TV for more than a year. Running until February 2012, the ad aims to "celebrate the carefree indulgence" of a First Choice all-inclusive holiday. The ad shows a man and his family leaving their home to set off on just such a holiday. Throughout the family's journey, from the moment they shut the door until they reach their destination, the man is congratulated by friends, passengers and First Choice staff for choosing all inclusive. 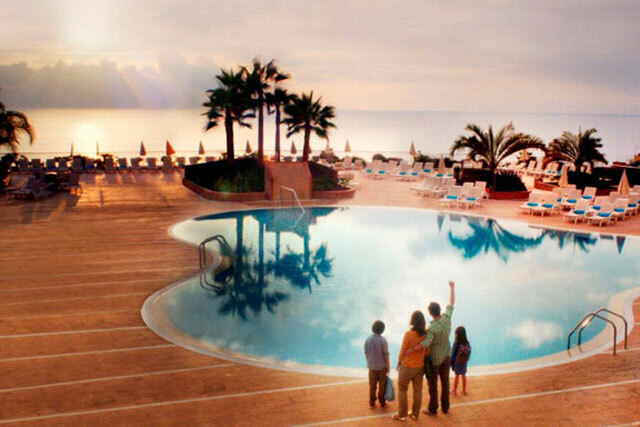 TUI announced it was relaunching its First Choice brand in April, as "The home of all-inclusive," changing from a holiday brand whose all-inclusive holidays accounted for 65% of the brand offering, to selling 100% all-inclusive holidays. Jeremy Ellis, the recently promoted marketing director of TUI, said that the new ad plays an important role in further differentiating the two TUI brands, Thomson Holidays and First Choice. He said: "With continued rapid growth in all inclusive and no other major tour operator owning this offering, we see this as an ideal opportunity to make First Choice stand out from all other major travel brands."